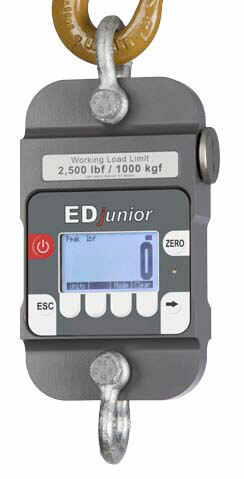 Our EDjunior dynamometer is designed to measure inline force / tension in a wide range of industrial applications. The backlit displays shows real-time and peak forces in lbf, kgf and Newtons measuring units. 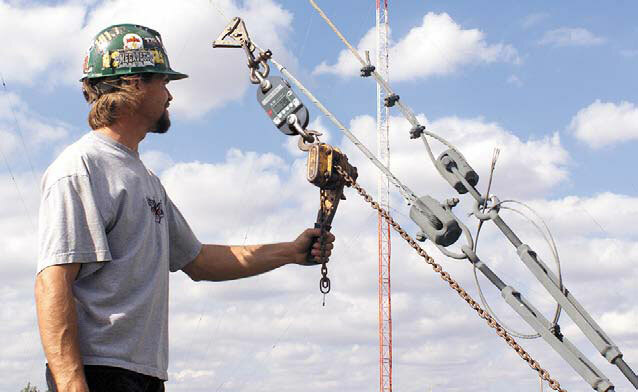 Heavy cumbersome tools make tough jobs even harder. 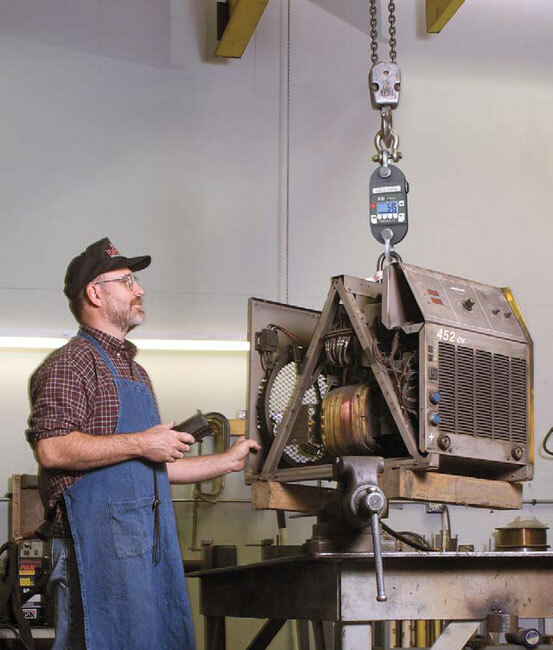 Through the use of aircraft quality materials, we have made the EDjunior an easy-to-position, highly mobile instrument with exceptional strength. It offer an impressive factor of safety at all capacities. Power is supplied by two C-cell batteries that are easily accessible through a side loading port. Battery replacement, however, is a rare event. With the EDjunior's low power consumption, typical battery life is over 400 hours. With its NEMA4/IP55 design, the EDjunior is at home in virtually any environment and ideally-suited to exterior job-site applications as well as in-plant use. 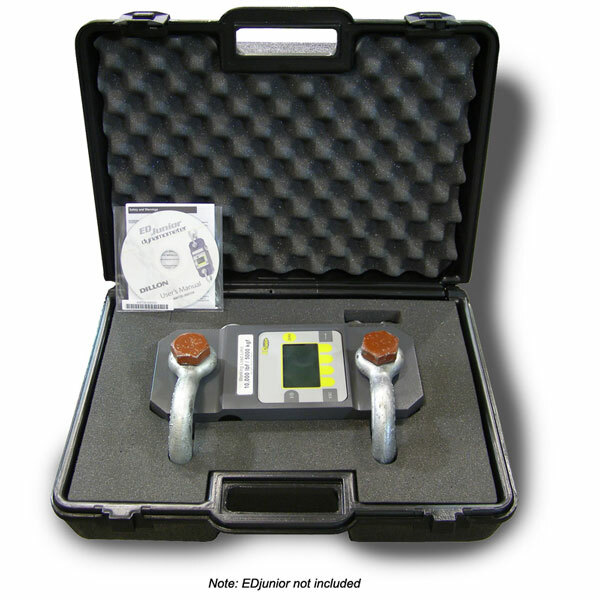 NIST Traceable The EDjr comes with a NIST traceable calibration certificate. - Accuracy: ± 0.5% of full scale capacity for precise data. Display 128 x 64 dot-graphic LCD display shows all digits 1.0" (26 mm) high plus annunciators and softkeys. Calibration Traceable to the NIST. Calibration card included. Battery life 425 hours typical use with two C-cell alkaline batteries. Backlight Configurable Using backlight will consume more battery power, reducing battery life.